Are scars, loose skin, wrinkles or fine lines driving you to find a real solution to younger tighter skin, without having to suffer through surgery? If yes, then our Skin Rejuvenation and Resurfacing treatments are for you! Aging, acne and sun damage can be a real nuisance to the skin, leading millions of people to search for a simpler cure than undergoing expensive, painful and time-consuming surgery. Non-intrusive skin rejuvenation treatments that treat dull and aging skin make up 40% of medical aesthetic treatments worldwide. Our treatments offer a less intensive recovery period than surgery, and are popular among both women and men. It’s a fact. If you would rather use a non-intrusive treatment over surgery, our procedures are more affordable, painless, and can have you in and out in of a treatment in less than an hour. These are major benefits for you! A true WOW Factor Treatment! Tighten your skin AND induce growth of new collagen in each treatment! Frequently called Photo Rejuvenation when done on the face, our state of the art treatments can be done head to toe to rejuvenate the complete Nu You! Our technology is at the forefront of skin rejuvenation procedures with an abundance of products and treatments for the most effective solutions. Suitable for all skin types and with no anesthesia required, Nu You provides you with resurfacing procedures that induce coagulation and necrosis in the deeper epidermal layers and papillary dermis to prompt the body to create new skin cells. 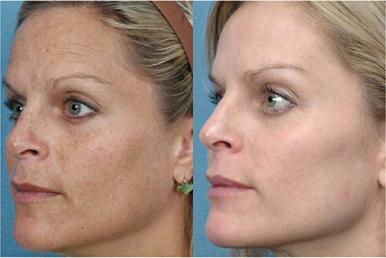 Significant results include improved overall appearance and quality of the skin noticeable after just one treatment! A series of treatments will produce wow factor results which are easily maintained with an occasional maintenance touch up treatments. 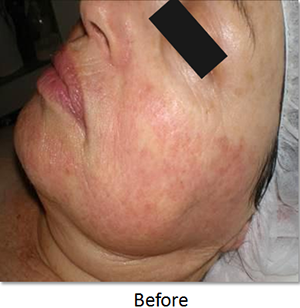 Photo Rejuvenation, uses Intense Pulsed Light (IPL) technology, can help reduce the appearance of some of the most common skin woes, including brown spots, melasma, broken capillaries and sun spots. 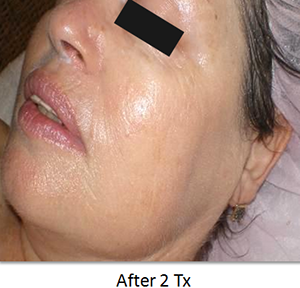 This minimally invasive skin procedure can also treat signs of aging such as wrinkles or age spots. 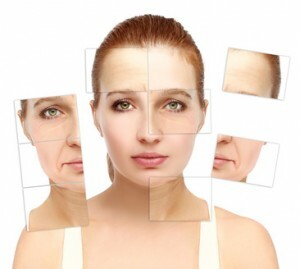 There’s very little recovery time and few side effects, making it a popular procedure. Listen to Brittany Style’s experience with skin rejuvenation and what she says about her ‘trouble’ areas. Learn more with our FREE Consultation! To qualify for Skin Rejuvenation, you should visit our consultants to assess whether you are a potential candidate.